Met Gala is the first public platform where Priyanka Chopra and Nick Jonas made their debut red carpet appearance together and let the world guess if they were a couple. Actor Priyanka Chopra Jonas and her husband Nick Jonas are on Met Gala’s Benefit Committee this year. This is just another achievement for PC considering she would be the first Indian to be hosting the prestigious Met Gala 2019. Priyanka is taking pride in it. In her latest statement to a daily, she mentioned how much it means for her to be on the Benefit Committee of Met Gala along with names like Katy Perry, Jennifer Lopez, Lupito Nyong’o, Bradley Cooper, Blake Lively and Jared Leto among others. 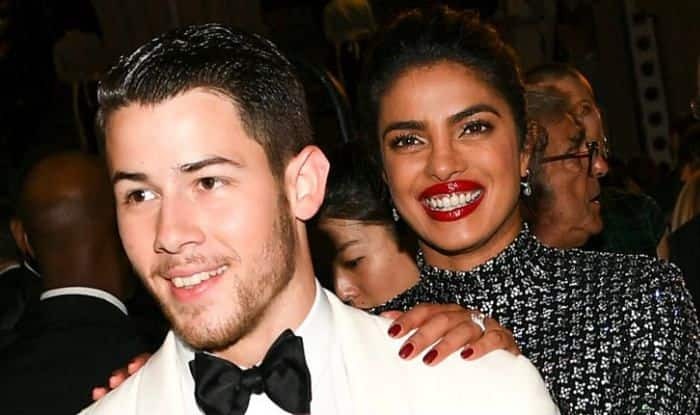 Interestingly, Met Gala was the platform where Priyanka and Nick gave their first appearance together. She wore a giant trench dress and walked the red carpet with Nick in 2017. Both Priyanka Chopra and Nick Jonas later recalled the moment and mentioned it was magical. In the next year, she was declared as the best-dressed celebrity at Met Gala 2018 after turning up looking ‘heavenly’ in a maroon velvet number with a stunning head covering detail. Priyanka, as many of her fans had predicted a few years ago, is going places today. She also attended the 10th Women in World Summit with the likes of Oprah Winfrey, Anna Wintour, Brie Larson and Stacey Abrams. PC took the stage to talk about feminism, breaking the glass ceilings and the importance of utilising the opportunity of going global.